The FRBS Teak Sling Footrest by Royal Teak Collection offers a high quality accessory to perfect your patio. Teak construction ensures a long lasting product, while the high oil content of the wood allows this product to be naturally weather resistant. This wood has been kiln dried and machine made with mortise and tenon joints for durable construction. 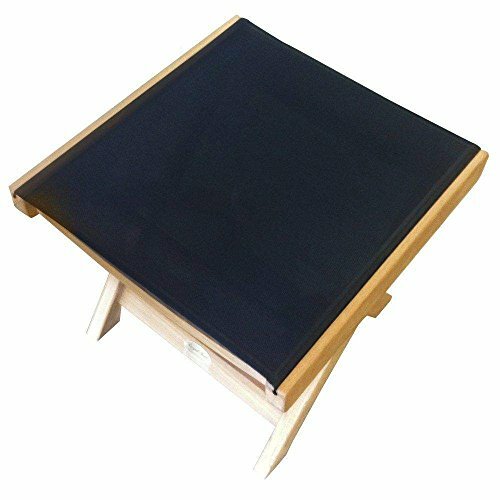 The black fabric sling footrest provides a comfortable place to kick up your feet as you enjoy your outdoor space. Measures 18 wide by 19 inches deep and 17.5 inches high. If you have any questions about this product by Royal Teak Collection, contact us by completing and submitting the form below. If you are looking for a specif part number, please include it with your message.